Embraced by the blue-hued waters of the stunning Caribbean Sea and the expansive Atlantic Ocean, Cape Eleuthera offers a tranquil escape with authentic island flair. Soak up the sunshine at one of our three secluded beaches or schedule a private charter for offshore adventure, where breathtaking coral reefs and championship fishing grounds await. Situated between Exuma Sound and Rock Sound in Eleuthera Bahamas, our Blue Flag Marina is fully equipped to accommodate vessels up to 200’ LOA, and a sparkling new pool beckons arriving guests. Seafarers will feel equally at home on land with the comfort and convenience of our spacious cottages and private villas. 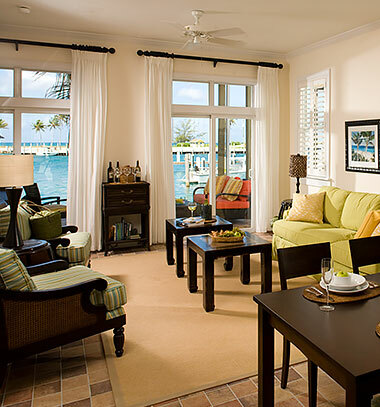 Casual dining options are also available at Harbour Pointe Restaurant and the Barracuda's Bar. If you need boating snacks or bait, Out Island Outfitters has you covered, and the nearby Marketplace delivers fresh produce and sundries. Experience the comfort and convenience of home. Our well-appointed villas offer thoughtful amenities like Bath & Body Works essentials, free WiFi and central air-conditioning. You’re minutes away from some of the world’s best game fishing and deep water scuba diving. 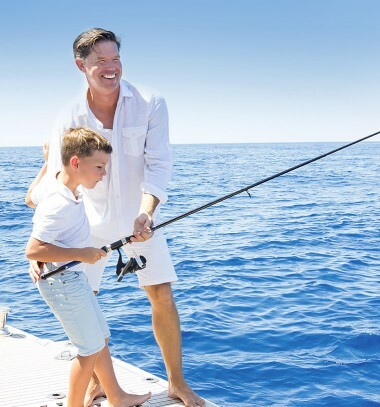 Swing by our Blue Flag Marina to plan one (or a series of) half- or full-day fishing charters or dive trips. 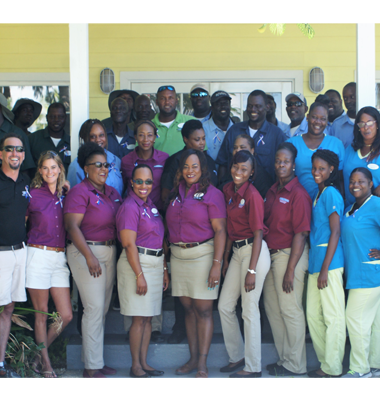 Our friendly staff, affectionately known as the Cape Crusaders, will be available to accommodate your every wish and whim during your stay at Cape Eleuthera Resort and Marina. From our sparkling swimming pool and full-service marina to drinks and dining at Harbour Pointe and Barracuda's Bar, and our well-stocked provisions store, Out Islands Outfitters, we’ve got everything you need for a good time.